Tinder has launched what it calls Reactions. These are little animated responses you can send to someone on Tinder in lieu of actual words. Reactions aren’t meant to replace the need to converse with a potential date, but they offer a quick way of reacting to what they’re saying and doing. More and more people are trying their hand at online dating in order to find love. Unfortunately, your experience of online dating Online Dating: Men Don't Get It And Women Don't Understand Online Dating: Men Don't Get It And Women Don't Understand Do online dating websites work? It's time for a frank discussion! What I learned from interviews was that online dating is equally painful for men and for women, but for very different reasons. Read More will be tempered by the people you meet. And while there are lots of nice people around, there are also creeps, weirdos, and idiots you should try to avoid at all costs. 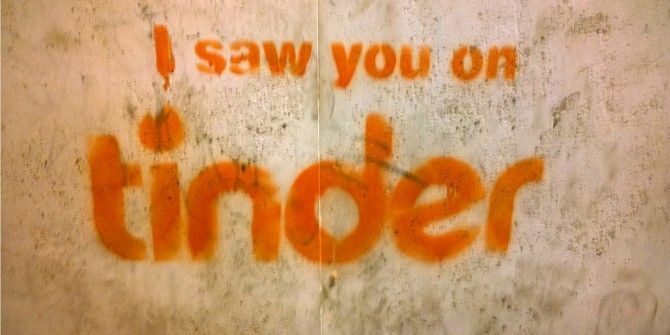 Tinder’s solution to this problem is Reactions. These help you give potential matches instant feedback on what they’re saying or doing. So if they’re coming on too strong you can throw a drink in their face, or if they’re saying all the right things you can give them a round of applause. To send a Reaction all you need to do is open a conversation on Tinder, tap the smiley icon, and select the Reaction that best sums up your response to the last message. Reactions range from extremely positive to bitterly negative, with something for every occasion in between the two. They say that a picture paints a thousand words, so we can only assume these Reactions paint a million words. They should help you get a point across without the need for endless exposition. Which makes them the perfect shortcut for responding to advances on dating apps The Internet's Worst Dating and Relationship Advice The Internet's Worst Dating and Relationship Advice Most dating advice on the web is awful. Here's the worst of it. Read More such as Tinder. Reddit Launches New Events and Collections ToolsThe 10 Most Followed People on Instagram: Should You Follow Them Too? Content advertised is not in the article.